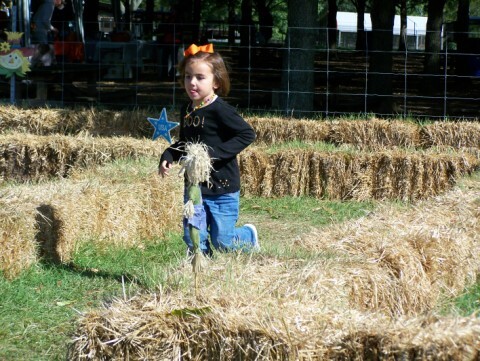 We went to the Pumpkin Patch at Marengo Creek the week before Halloween and had a blast! This was Sam's first Halloween. Ellison dressed up like an Auburn cheerleader, so she decided that Sam needed to be a football player. She also informed me that Ahh,, yes, Ahh the monkey, would need a costume this year as well...he was a megaphone! We went Trick-or-treating, then went to the festival at church.